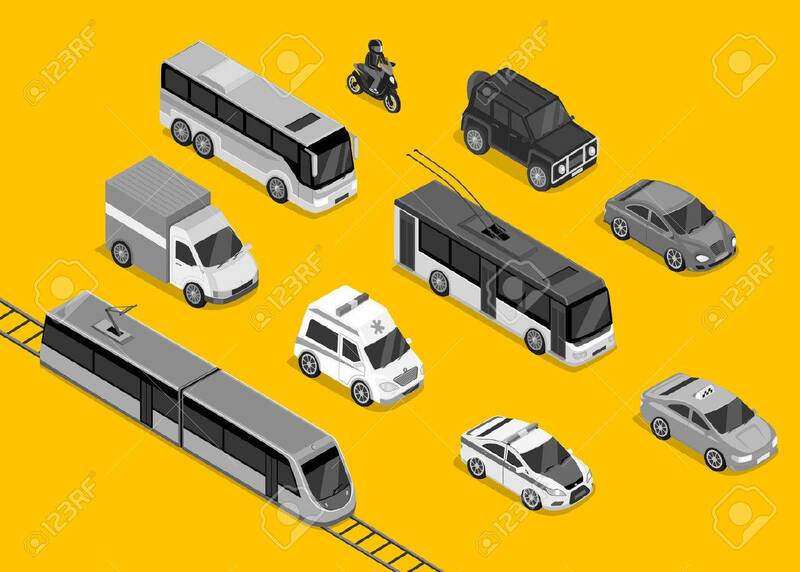 Isometric 3d Transport Set Flat Design. Car Vehicle, Transportation Traffic, Truck Van, Auto Cargo, Bus And Automobile, Police And Motorcycle Illustration Royalty Free Kliparty, Vektory A Ilustrace. Image 51810364.